This week, we had the opportunity to run a giant Elevator Pitch Perfection™ event at a conference of Realtors. We had a lively, participatory crowd. We played, we laughed and we learned. They had questions and we had answers - a terrific experience. A short, descriptive introduction designed to be authentic, valuable and memorable so as to inspire another conversation. Question 1. - Should I ask a question during my Pitch? The short answer is absolutely engage your audience! The longer answer is this, make sure that you use the data you receive from your question in your Pitch. If you ask how many people are certified scuba divers, make the answer relevant to your Pitch. I cringe when I see people asking a question, or worse, multiple questions, that have nothing to do with their Pitch. It then becomes an exercise in arm-raising. Question 2. - How do I Pitch in ordinary situations? You don’t. Start a conversation, not a sales pitch. Ask questions of and about others and be interested in the answers. A Pitch is a conversation that hopefully, leads to another conversation. Don’t sell. Be authentic. Question 3 - Should I tell a story in my Pitch? A resounding yes! If you can tell your story in a way that others can relate to, you’ll have a much better opportunity to get to that next conversation. Keep in mind that we don’t want a whole long slog of features, benefits or product listings - that’s not storytelling. Your Pitch is personal. Remember that people buy into people. Question 4 - How long should my Pitch be? Your Elevator Pitch is your personal branding story. Take the time to be thoughtful about your message to the world. If you’ve got questions about your Pitch, reach out to us at info@practicaldramtics.com. LB Adams is the Founder of Practical Dramatics, headquartered in Charleston, SC. Her company provides a wealth of soft skills training events that utilize theatre strategies to help humans grow more profitable conversations with other humans. 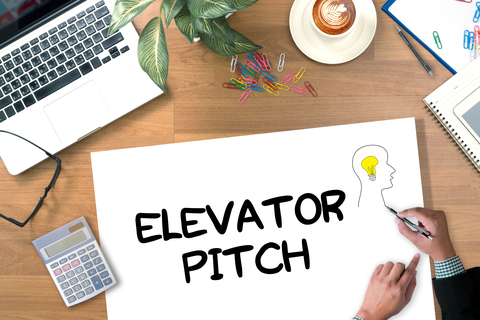 To find out more about Elevator Pitch workshops/conference events, please reach out to us at 843-771-0753. Older PostThe One Thing That Makes A Public Speaker "Award Winning..."